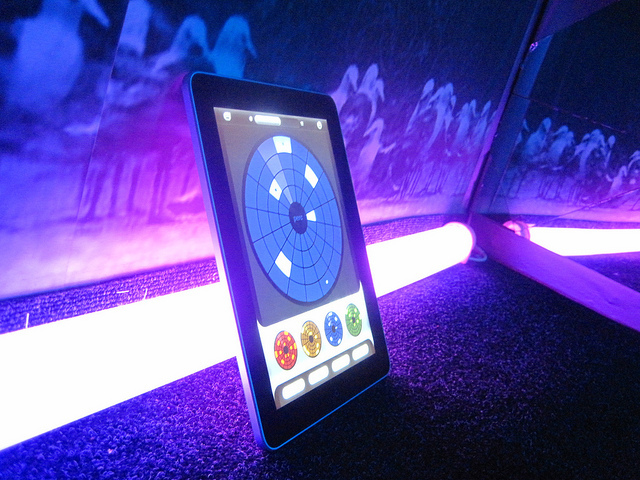 Loopseque on the iPad. Courtesy the developer. We continue our 3.14 celebration with a round-up of circular logic. There’s no reason apart from the printed score to assume music has to be divided into grids laid on rectangles. Even the “piano roll” as a concept began as just that – a roll. Cycles the world around, from a mechanical clock to Indonesian gamelan, can be thought of in circles. Imagine an alternate universe in which Raymond Scott’s circle machine – a great, mechanical disc capable of sequencing sounds – became the dominant paradigm. We might have circles everywhere, in place of left-to-right timelines now common in media software. Regardless, it’s very likely Scott’s invention inspired Bob Moog’s own modular sequencers; it was almost certainly the young Moog’s exposure to the inventions in Scott’s basement that prompted that inventor to go into the electronic music business, thus setting the course for music technology as we know it. Scott’s creation was shaped the way that it was partly out of mechanical necessity. Now we’re gifted with the ability to make any form we like for our electrified music tools. Circles can have appeal not because they’re somehow novel, but for just the opposite reason: they’re ubiquitous, intuitive, and geometrically elegant. So, let’s first consider these in their most abstract, in software. Incredible things are happening to our understanding of music theory as the gap between fields is shortened. Say what you will about the state of communication in our modern society; for the self-motivated, the trip “across the quad” (between academic departments) has nothing on the trip across the Internet. Godfried Toussaint, a computer scientist with a strong math background based at Montreal’s McGill University, has a whole body of fascinating writing linking math, geometry, and music. One research paper has had a big influence on many of us, myself included. Here’s the beauty of math: an algorithm developed by Euclid in Alexandria around 300 BC also works for calculating timing systems in neutron accelerators and makes nice poly-rhythms for music. It’s rather amazing we don’t talk to each other about math more often. 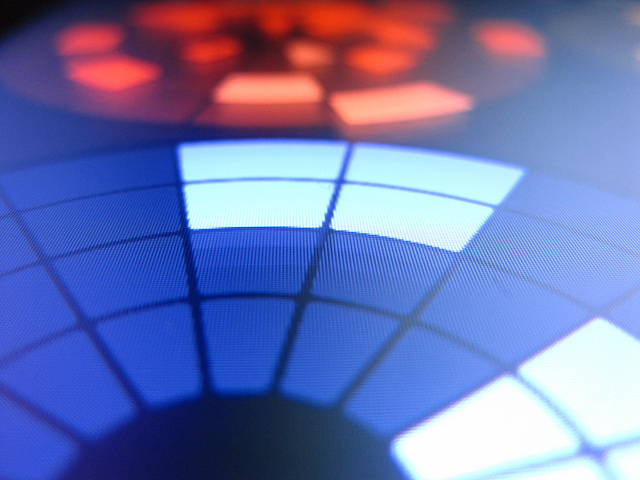 I’m implementing a touch interface for it now using Pd, Processing, and Android; I had hoped to share it by now, but I’m still fleshing it out – I’ll give it away when it’s done. You’ll notice in these, too, the similarity to the original Scott Circle Machine, down to the sweeping arm. But that’s a benefit: glancing at them on paper, Mozart and Haydn look the same, and they use the same musical technology, but think of the musical variety that results. Circular sequencing interfaces are plentiful – indeed, I hope that this story prompts lots of people to say “hey, what about …?” Here are a few examples. 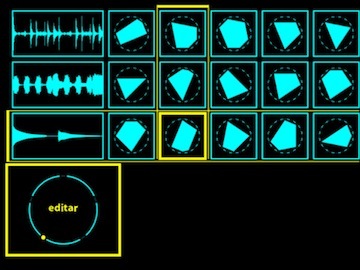 dial is a software sequencer using circle to control loop sequences in real time. I imply “speed sync” circular notation system which differ to “angle sync” in my past work “Overbug”. Now under developing with openFrameworks and Bullet Physics. I use ofxConsole for custom CUI in this version. *ImageRama is one night event hosted by Genda lab. in Kyushu univ., we setup surround sound(5.1ch) and 1 full HD projector. thank you for all stuff!! You can download it for yourself for the Mac; it even has Snow Leopard support. Also from Japan, Nao Tokui has taken these ideas in another direction, still, with “mashup” application and, in three dimensions, his original Sonasphere. The latter was one of the first interfaces to really fire my imagination as far as alternative user interfaces and three-dimensional sequencing. The one shortcoming for me of that application is the inflexibility of the grid, which is why the Euclidean ideas above interest me, but it’s still a lot of fun. Rui Penha deserves his own category here, I think, as he’s done a great deal of research. He has worked with polygonal shapes as a way of displaying evenness in rhythms, and he’s built not only novel interfaces, but entire musical compositional environments using these paradigms. They’re all downloadable, too. 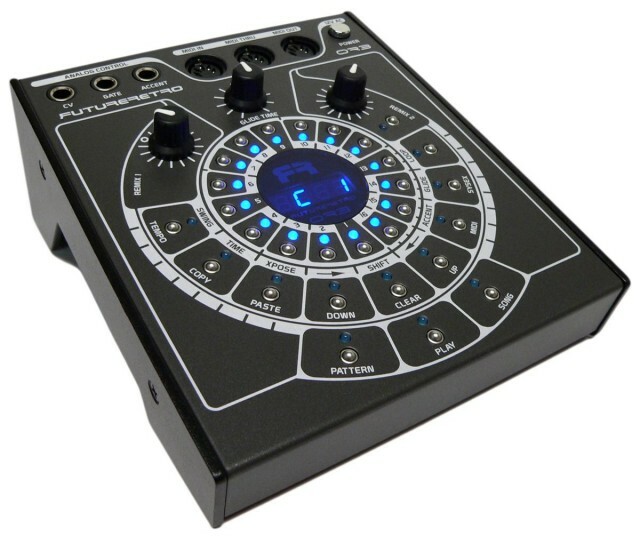 Instrument A, pictured below, uses sampled sounds and pre-composed loops which you can then assemble into a layered composition. Gamelan, in the video at the top of this story, uses cyclic, circular notation to make interlocking parts of music more visible, in the style of an Indonesian ensemble. I was struck by this myself as I’d constructed a (much cruder) demonstration of the same idea for a talk in Ireland; here, Rui builds it into an entire interface. Also, there’s a meaning to the symbology of the circle: Gamelan looks for other networked players with which it can interact, making this a communal experience – and it can even be used to play a real gamelan ensemble, via robotic apparatus controlled wirelessly. Políssonosis perhaps the most sophisticated of all of these, mapping those shapes into three dimensions and making the evenness of rhythms more apparent. See video, top, and the same ideas below. 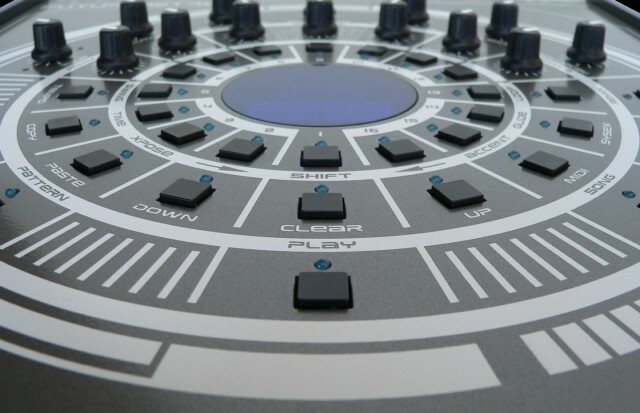 No discussion of circular design would be complete without the legendary synthesizers of FutureRetro, which uses a cyclical interface to divide patterns and even arranges synth parameters around the rotational theme. You can now pick up an Orb for $550. Invisible Rhythm worked from the notion of a music box to make their analog drum machine Rhythm 1001. See also the Conspiring machine – thanks to an unfortunate use of Flash, I can’t link directly easily, but head to http://www.kristoffermyskja.com/, choose work, and then select Conspiring Machine (or some of the other, related ideas) from the left-hand column. I’m going to turn loopy if I keep going, so I’ll leave it there. 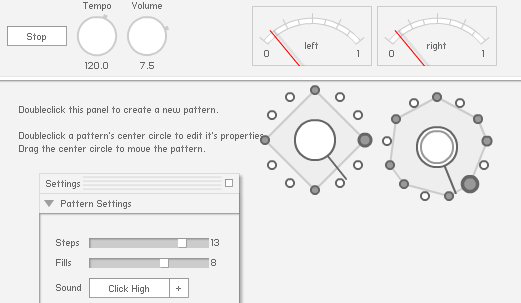 But have you found circular sequencers to be musically useful? Are there hardware or software designs you appreciate that I missed here? Research worth checking out? Or are you committed to the rectangle – and if so, can you explain why? Happy PI day. May your oscillations always be in phase.